I am planning to get some hand on Android Apps development. 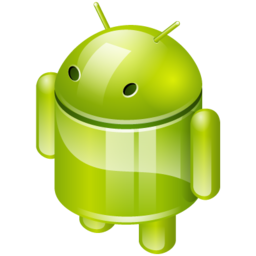 For Android Apps development you need to install Android SDK. Developing Android Apps can be easy if you use JAVA Eclipse as your IDE (Integrated Development Environment). Decide which version you want to use. If you are using 64-bit windows 7, you should install 64-bit JAVA JDK and JAVA Eclipse. If you are using 32-bit windows 7, you should install 32-bit JAVA JDK and 32-bit JAVA Eclipse. Download and install JAVA JDK from here. After JAVA JDK is download, install it as we normally install any software on Windows. Download JAVA Eclipse from here. After you have downloaded JAVA Eclipse, extract it using any zip software like winzip, winRaR. Do not use Windows default explorer to extract files, as it may not extract files properly. It will create a folder “eclipse”, with multiple subdirectories under that. Only solution for such error message is, install same bit version of JAVA JDK and Eclipse. No need to change any environment variables path in Windows 7. I had trouble and couldn’t install Eclipse on my Windows 7 c68 (32 bit) PC for months. It unzipped and provided multiple files which when I clicked on them, did nothing useful. The problem was easily solved – I had to use another program other than WinZip to unzip the file. (I used WinRAR and it went perfectly, first try!). The program is oddly enough, provided as a .zip file. So my computer used WinZip to unzip. If you do this, you’ll get errors. Try using WinRAR and you’ll have no problem!